The latest addition to the Miasmah roster is Oslo based musician FNS aka Fredrik Ness Sevendal. 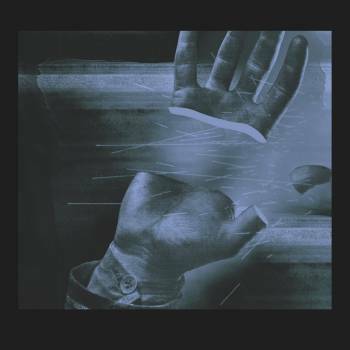 A veteran of the Oslo experimental scene, Sevendal has been associated with several bands over the years: DEL, Slowburn and Kobi. 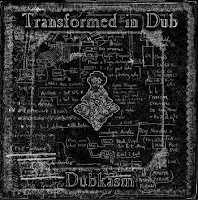 Additionally his previous work has involved collaborations with Makoto Kawabata (Acid Mothers Temple), Mitsuru Tabata (Zeni Geva, Marble Sheep), Mark Francombe (ex-Cranes guitarist), and Bill Wood (1/3 Octave Band). For his Miasmah debut, FNS treats us to a spectacular excursion into the world of psych-folk instrumentals, with a collection of semi-improvised multi-layered pieces, primarily for acoustic and electric guitar and voice. These lo-fi home recordings capture a sense of astral travel, though explorations into drone, raga-styled melodies and layers of guitar feedback. The immediate allure of FNS’s spectral sound is in the understated nature of the performances – it recalls the magnetic interplay between Tom & Christina Carter’s work in Charalambides, the playful free noise of Sunburned Hand Of The Man, the ethereal blues of Loren Connors, and a variety of subtle but undeniable influences from the 70’s progressive UK folk scene. FNS’s sound is a sorrowful sound – a death-fuzz, a hazy wailing wall of cavernous guitars, doom-freakout and swirling psychedelia, melded into one then drowned in echo and haze. FNS fires forth cosmic transmissions for the mind and spirit…the result, is nothing short of an aural treat. Miasmah was set up by Erik K. Skodvin of Deaf Center and Svarte Greiner in 2006 and have to date released albums by artists including Greg Haines, Jasper TX, Simon Scott, Elegi, Kreng, and Rafael Anton Irisarri, Encre, Gultskra Artikler, and Jacaszek. 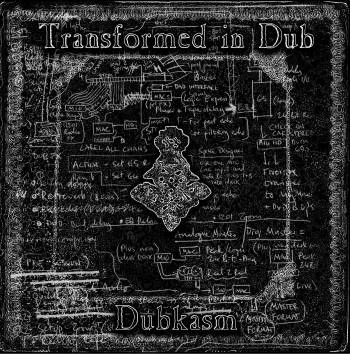 "With the success of last year's Transform I by Dubkasm, the arrival of the versioned album was highly anticipated and it does not disappoint. Building the tracks in Brazil producer Digistep draws from the deep well of his local roots, layering elements of samba, batucada whilst back in Bristol, UK DJ Stryda pulls in rootical heavy weights such as Dub Judah and Tena Stelin to imbue the tracks with some righteous authenticity to produce one of the finest of the finest home-grown dub albums for many a year; and it's an album that stands repeated listens through the whole set as against cherry-picking the killer tracks, but There's A Dub is beautifully constructed in an early 1980s style with judicious use of Syndrum, plangent plucked guitar and lovely loping rhythm whilst the final track This Man Was Born There is an unadorned Dub Judah vocal except for sounds of the weather and forest with nyahbinghi drums."